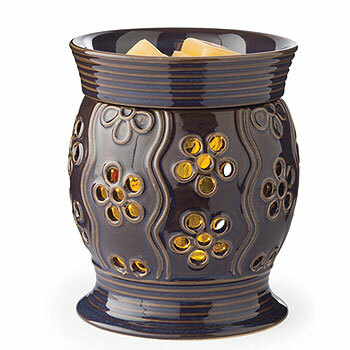 Use our Bloom Glimmer Candle Warmer to melt scented wax tarts without using an open flame. This amazing product uses a long lasting, flickering LED light inside to simulate a real candle. 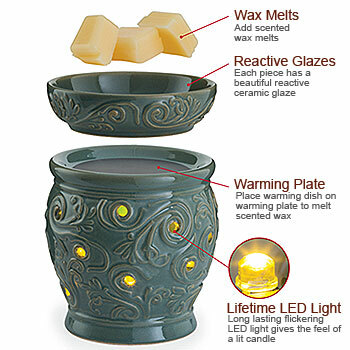 Since LED lights create virtually no heat, the warming dish actually sits on a hot plate which melts the wax tarts. With this tart burner, you have the benefit of a flame free candle warmer, no replacement bubs to purchase, and a beautiful flickering glow. The ceramic dish is removable making it easy to clean. Within a short amount of time, the scented wax melts will begin to liquefy, releasing their scent into the room and freshening your home.